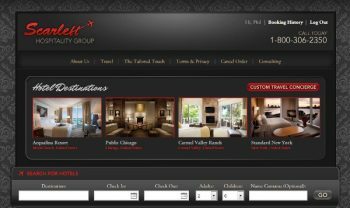 Scarlett Hospitality Group has taken aim at becoming your exclusive online luxury booking source, among other wares and services. I thought we’d take a look at the service, since they were kind enough to follow our stories here and us on Twitter too. Here’s a look at a very nice online engagement. Just to let you know, I find this one really interesting.